UPDATE: Participants now need to answer within 70% to 100% accuracy on the questionnaire to qualify for the drawing! See below for details. 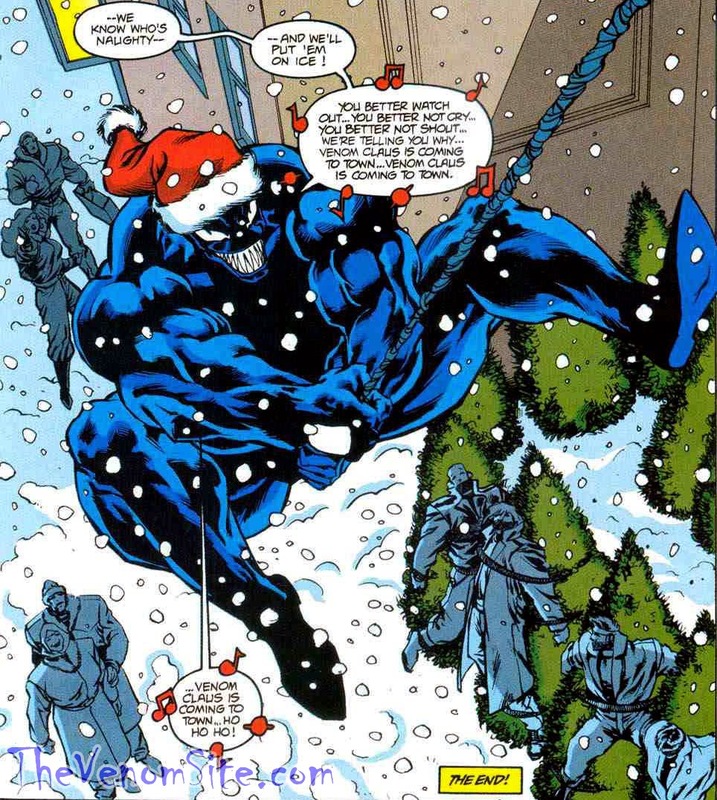 Seasons greetings and happy holidays, fellow Venomaniacs! It's that special time of the year again when everyone is gearing up for the coming winter holidays and to celebrate, The Venom Site and A Dose of Venom is hosting a special giveaway in the spirit of giving back to our loyal and most fanatic followers. We're not called "The Venom Site" for nothing, so what will you be competing for? How about one of the hottest symbiotic toys of 2014? That's right, we're talking about the Walgreens-exclusive Marvel Legends Infinite Agent Venom action figure from Hasbro! 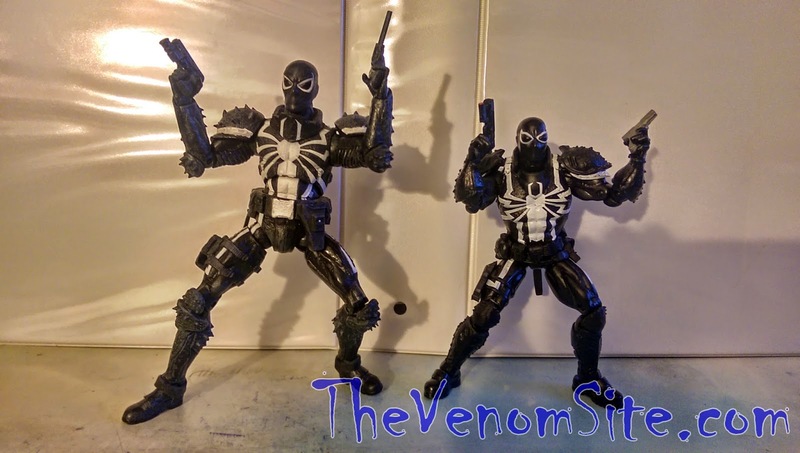 This is the latest installment of Marvel's super-posable symbiote action figures and Agent Venom's second action figure after the highly popular Marvel Select Venom (Flash Thompson) figure from Diamond Select Toys. 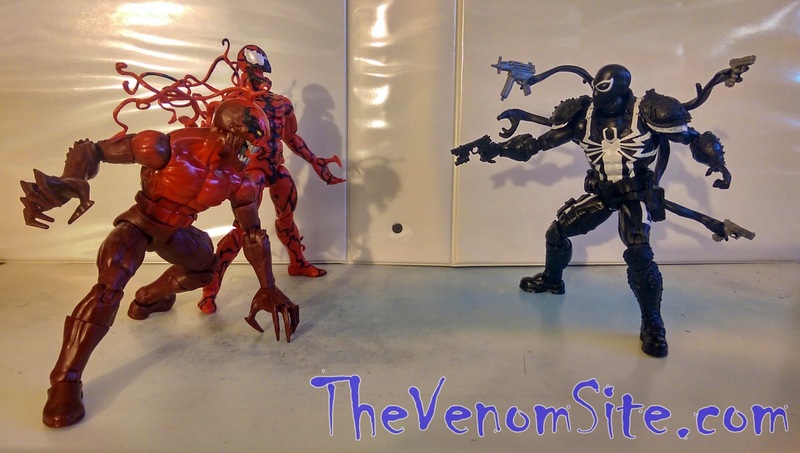 This action figure scales perfectly against its Marvel Legends brethren from the same Ultimate Green Goblin BAF (Build-a-Figure) series: Carnage and Eddie Brock as Toxin (both called "Spawn of Symbiotes" on their respective packaging, with Toxin as a variant chase to Carnage). 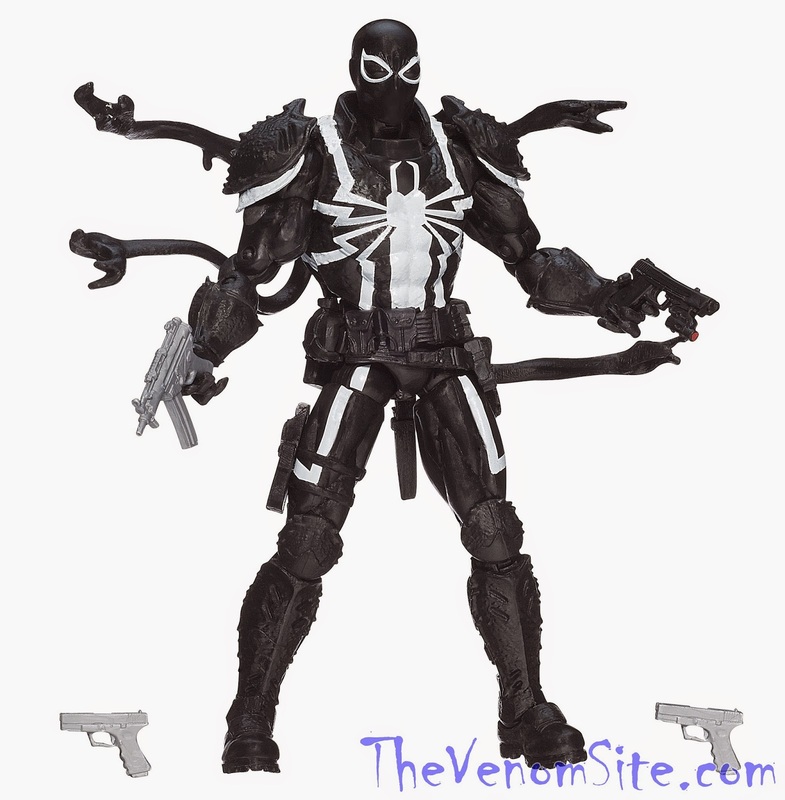 Agent Venom was sold exclusively at Walgreens, putting him in high demand among collectors. Carnage figure possesses custom painting. The figure features four weapons including three pistols and a small machine gun, and a detachable four-tendril back piece, which has three weapon-holding hands to add to the base figure's two weapon-holding hands. The posability on this figure surpasses its Marvel Select predecessor despite its smaller stature, which gives it a higher range of flexibility in display. Marvel Select Agent Venom (left, possesses custom painting) vs.
One winner will receive this must-have action figure mint-in-box along with a super secret complimentary gift provided by A Dose of Venom Lead Editor himself, Orion "STARB0Y" Petitclerc (yours truly). So how can you get your hands on these awesome gifts? Well, you'll have to have your knowledge of symbiotes tested, of course! Below, you'll find a link to a Google Forms survey, where you'll have to complete a trivia questionnaire. The questions will range in difficulty from beginner to advanced, so make sure you're current on your general symbiote history and canon! Fill out the survey completely including your full name (real name only), mailing address (not a PO box; US and Canada residents only), and contact information to enter the giveaway. (All private information will not be shared and will remain confidential. Please provide accurate information, as it is vital for delivering your prizes in the event that you are the winner.) You must complete the entire questionnaire within 70% to 100% accuracy of answers to qualify for the drawing. A qualifying winner will be chosen at random and will be contacted upon the final decision to verify the validity of his/her contact information. All expenses will be paid for by the giveaway host; no entry fees are required to qualify. One entry per person. The winning entrant will be announced here on A Dose of Venom shortly following the end of the giveaway period: November 7, 2014 through November 30, 2014. Please submit your questionnaire answers by the end date to qualify. Take the trivia questionnaire here! Happy holidays, and good luck! Don't forget to check back at A Dose of Venom every Friday for new content, and follow The Venom Site for all of your symbiote news, reviews, and point-of-views!